Below you will find answers to our most frequently asked questions and links with more information. If you can’t find the question you wanted to ask, please don’t hesitate to contact us! How do I apply to the Day Center? There are just 4 easy steps to get started, which include the initial application, an assessment at our center, physical & TB test from your doctor, and picking a start date! Learn more about the Admission Process. What do participants do all day? A variety of things! The Day Program provides an environment that focuses on people’s strengths rather than their memory limitations, addressing the needs of the total person: physical, mental, and emotional. Recreational Therapy activities are designed to restore motor, social and cognitive functioning, build confidence, develop coping skills, and integrate skills learned in treatment settings into community settings. Take a look at the current activity calendar. Participants receive a nutritious breakfast, lunch, and two snacks throughout the day. Meals are provided through Fairfax County, and they can accommodate many dietary restrictions or preferences. Check out the current menu. Do you offer half-days or drop-in services? Our center is open from 7:30 am to 5:30 pm, and participants may arrive and depart at times to best suit the family’s schedule. Unfortunately we do not offer "drop-in" or partial days. A consistent routine is a vital component of dementia care and facilitates better adjustment to the center. My loved one refuses to attend a day center. What can I do? It's common for an individual with dementia to refuse to try something unfamiliar. During your assessment, we can help identify and implement strategies to ease the transition into the center. This could include starting the person on a day with a certain activity they would especially enjoy, introducing them to a current participant with shared interests, or finding a way to help make the person feel useful and needed at the center. We typically find that once a person has attended for several days, they begin to adapt to and appreciate the routine of the center quickly! Are you able to care for people who are incontinent? Yes. Participants are provided full assistance if needed. Are you able to care for people with difficult behaviors or who are aggressive? In most cases, yes. In our experience, we have found that appropriate activities, atmosphere, and approach can minimize aggressive behaviors in people with dementia. We know that behaviors often have multiple causes, and in some cases can even be greatly reduced or eliminated through knowing the person’s triggers, treating underlying medical conditions, or adjusting medications. With our expertise in dementia care, individuals who have difficulty at centers frequently adjust and do well at our state-of-the-art facility. If, however, a person becomes a threat to him/herself and/or our staff and participants, we will work with the family to find a solution. Are you able to care for people who wander? Yes. 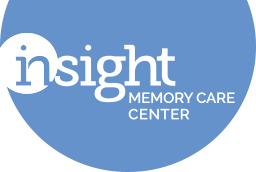 Our center is specifically designed for people with dementia. Its secured exits and wandering path give active participants a safe place to wander. Are you able to care for people who don't have Alzheimer's? Yes and No. In addition to people with Alzheimer's disease, we also serve people with a variety of related illnesses. We are a dementia-specific program, trained to care for this population. Contact us if you are unsure whether your family member would be right for IMCC. - Fairfax County residents can take advantage of Fastran to get their family member to and from our Center safely. Cost is approximately $2.50 each way ($5 round-trip) from anywhere within the county and we can help coordinate your route and pick-up times during the application process. - Metro Access is another option for all DC area residents. Costs vary, but are usually minimal. - Arlington County residents should contact the Arlington Agency on Aging directly to arrange door-to-door transportation through S.T.A.R. Costs vary, but are usually minimal. Is there a cost associated with the Day Center? Yes. Depending on your loved one's stage of dementia and how many days per week they attend our Day Center, the program fees vary. Take a look at our current fees. Will Health Insurance cover the cost of the Day Center? Most health insurance programs will NOT cover adult day care expenses; however, some long-term care insurance companies will. Medicare will not cover adult day care services, and currently we are not accepting any Medicaid spots. If you cannot afford the cost, please contact us for more information on our Financial Assistance Fund. What if I cannot afford the cost? We have a Financial Assistance Fund for which families in need may apply. Funds may cover all or a portion of the daily fee, based on need. Please contact us for more information or to obtain a financial assistance application. This is currently our only center. To find an adult day care program in your area, contact the National Adult Day Services Association. They have a nationwide listing of Adult Day Associations and Agencies on Aging by state to aid you in your search. Are you affiliated with any other organization? We are a private, not-for-profit 501(c)(3) organization with a board of directors. We work collaboratively with local businesses, school groups, civic organizations and faith communities. Although we are not a county facility, we are supported by a number of Fairfax County departments and programs. Click here for a listing of our partners. "I like the responsiveness of the staff, and the friendliness of every staff member and intern."